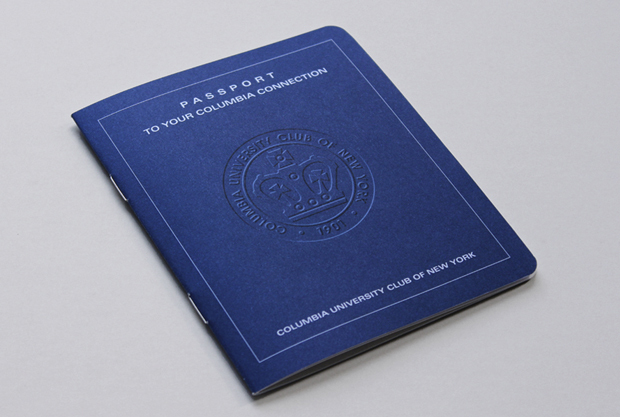 A special “Passport” size brochure which contains member benefits and reciprocal club information. 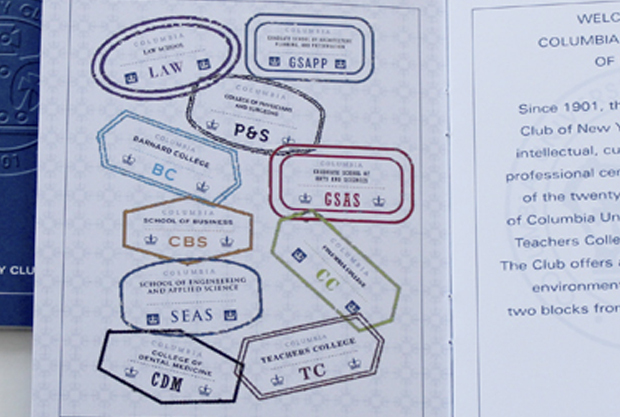 We designed “passport stamps” for each of the 20 schools within the University. 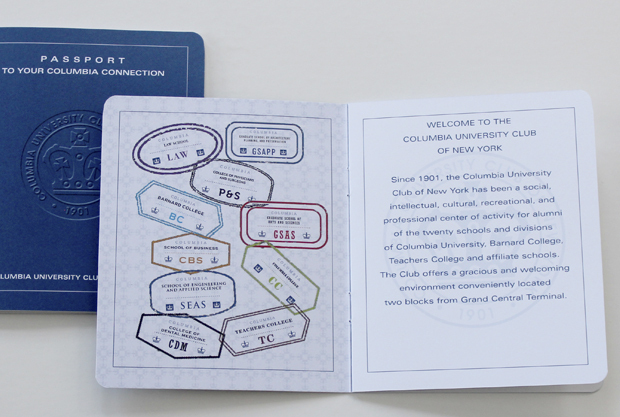 Part of our ongoing branding and identity work for the Club.